Kindle loves this project because... Southwest of Salem is one of those rare documentary films that enraptures you with its brilliant storytelling and calls you to action for justice. Told by the characters themselves, each of whom is so vulnerable, transparent and honest about their story that as a viewer you are not only compelled to find out more about them, but compelled to get involved in their pursuit for justice. This film breaks open the often hidden dark truths of the criminal justice system and gives international audiences a chance to engage, act, and be a part of something much bigger. Those moments of intense creative flow, usually for me this place emerges during the research or the editing. The more intersectional and complex, the more I want to tackle it, yet the more I am scared that I won’t be able to pull it off. BUT, if I can get it right, that’s where great cinema & art lie for me. I’d create a massive televisual or film series on Crime Myth & Mythology using only animation, stop-motion, and really go on the hunt for fantastic archival footage. It would start from the Victorian era and span til the 1980’s and be inspired by German Expressionism. I live in a heavily gentrifying city, Austin, where I see people of color displaced at astonishing rates. Its relatively slow pace and ‘laid-backness’ make it a pleasant place to live and raise a family—that matters to me as a queer mom raising two boys. 6. What’s your favourite way to procrastinate at work? Lullaby by The Cure—anything by The Cure. Hard to choose! Adrienne Rich and bell hooks at this moment. My wife, Karen, made my son and I grilled peanut butter sandwiches! So decadent. Innocence Projects—any of them, as they are all doing great work. Sometimes to my mother when I say I’m in a meeting and can’t talk. Oooof, good question: I think all aspects of Criminal Justice / Policing in America are pretty high up there. 16. What do you think needs to be changed the most in our world? People need to be taught how to listen and sit still more. Bruce Jackson’s The Story is True and Hitchcock by Truffaut. 18. What is the guilty pleasure television show that you watch? Game of Thrones. And The Real Housewives of New York, but PLEASE don’t tell anyone. 19. What’s your favourite online resource for news and for fun? I’m pretty addicted to Twitter. 20. Where would you like to live? Anywhere my wife & children live and for the near future that’s Austin. Bonus Question – What is your personal motto? Deborah S. Esquenazi is a documentary filmmaker, radio producer, curator, journalist. Her work explores the intersections of mythology & justice, identity & power. 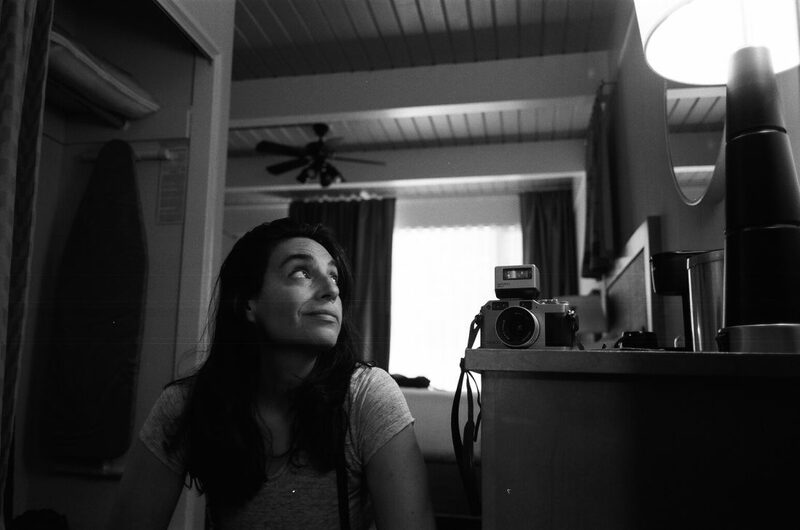 She is a Rockwood JustFilms Ford Foundation Fellow, 2016; Firelight Media Lab Fellow, 2016; Artist-in-Residence at the Mexican-American Cultural Center in Austin, 2016-18; Sundance Creative Producing Fellow, 2015; Sundance Documentary Film Fellow, 2014. Her projects have received support from Humanities Texas, Sundance Institute in association with JustFilms Ford Foundation and Open Society Foundation, Chicken & Egg Pictures, IFP, Arcus Fund, Paul Robeson Fund, and many others. Her debut feature documentary, Southwest of Salem, premiered at the 2016 Tribeca Film Festival to critical acclaim, and is a reinvestigation into the bizarre allegations waged against the ‘San Antonio Four’ during the ’Satanic Panic’ of the 1980-90’s. It will have its theatrical debut in September 2016. Esquenazi is also one of the founding members of the All Y’all Southern Documentary Collective, founded by Elaine McMillion Sheldon and Darcy McKinnon in 2016. Tweet/Facebook the district attorney’s office to take a stand! Click here to learn more about how you can support.